My guess is that you are just like me in regards to whey protein and that it doesn’t matter what brand you get, it just matters the number of grams per sitting. I thought the same thing for many years and after drinking just about every shake that I could get, I always had the feeling of a heavy bloatedness for a while. I have read before that whey protein is hard for your body to digest and to some degree that is true, it depends on the how the whey protein was made truthfully. Dolce Whey is one of the best proteins as it is easy for your body to digest because it is an isolate so your body can digest 8 to 10 grams an hour of this type of protein. As some of you may have heard the name Mike Dolce before if you watch the UFC or any MMA for that matter, he was and still is a personal trainer for a lot of high-level MMA fighters and helps them make their weight cuts being weigh-ins. Mike Dolce also has several different books that share great knowledge regarding how to eat properly to meet your goals whatever they may be. As an MMA leading trainer for a lot of UFC fighters he was voted the MMA trainer of the year for 2013, 2014, 2015 which is an award given to the leading and most influential strength and conditioning advisor of MMA. 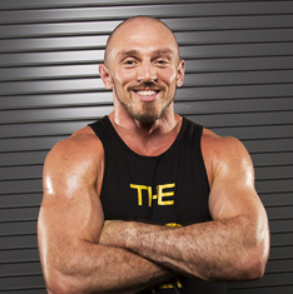 Mike Dolce now has brought some of that knowledge into a new whey protein product which actually is one of the better forms of whey protein on the market today. Like anyone else, I tried it and to this day I keep a bag of it in my kitchen in case I need that extra bit of muscle recovery. It comes unflavored so you don’t have to worry about what you mix it with to get a good taste out of it. I have mixed it in with smoothies that I make along with my every morning protein shake before work at 5am. I mix these three ingredients together to get my main protein from the Dolce Whey, the sweetness from the Hemp force protien, and the Silk milk as the filler or the base. This gives me the nutrients that I need and kills my craving until about 10am which is about 5 hours later. All of this together is my best way to build or maintain muscle and not gain anything unwanted weight. This Whey comes in two different size containers. Price is $19.95 plus you get another 20% off the first purchase. Price is $62.95 plus you get another 20% off the first purchase. Best value is the 31oz bag but if you truly just want to try it then the 10oz tub is good as well. I personally get the 31oz bag and it lasts me about one month or more and that is with me making a shake for breakfast in the morning. Give this product a try, I am sure you will love it as much as I do. I use to use this type of product in the past before I found out I can not digest dairy products, is this considered having dairy in it? Lactose friendly what exactly does that mean, does this mean it does have a low amount of lactose in this product? Are all these whey protein products pretty much the same, so many brand to choose from it can be confusing? Actually the Dolce Whey is one of the highest grades of whey isolate that is on the market so it is very lactose friendly. I am somewhat lactose intolerant as well so I mix the Dolce whey with an Almond milk made by Silk which is pretty common brand to find in any grocery store. I have been using the Dolce whey and the Onnit’s Hemp Force protein mixed together with the Almond milk for a very delicious tasting shake. The Dolce whey gives me 25 grams of protein, the Hemp force gives a plant based protein and the flavor, and the Almond milk is the base. Being lactose sensitive, then it is my recommendation to stay with Onnit’s Dolce whey or the plant based protein Hemp force. My favorite flavor of Hemp force is the vanilla but they make it in Chocolate as well. How long has Dolce Whey protein been into the market and why did you choose this one specifically out of all the others? When using protein I like to mix up my flavours so does Dolce Whey offer different flavours or do you get that purely from other sources? Great review and the price is pretty good as well, will definitely pick some up when I need replacements. Great to hear from you, Dolce Whey has no taste at all so you can mix it with anything that you want to obtain the taste of your liking so in other words you are not just limited to the traditional milk or products like this like milk. I mix Dolce Whey with my smoothies which are a strawberry smoothie and a acai smoothie which both taste are great tasting. My morning shake is more like a traditional shake having one scoop of Dolce Whey to get protein Isolate, one scoop of Hemp Force Vanilla for a plant based protein and the taste, then 12oz of almond milk made by Silk to give the base or the filler for the shake. Truly one of the best day starting shakes that I have every had. With Dolce Whey having no taste then the possibilities are endless as far as taste is concerned because it can be mixed with what ever is your favorite. I heard about whey isolates, never knew what was the benefits. How often can you drink the whey isolates with or without meals? Or is it recommended with meals? Thanks. Great question, Dolce Whey is a whey isolate which is one of the proteins that your body can easily digest. Generally speaking, your body can digest around 8 grams of whey isolate in a one hour period of time. With that said if you drink a protein shake of Dolce whey isolate, one scoop is 25 grams of protein. Your body will fully digest it within roughly 3 hours so if you wanted to you could drink a shake every 4 hours to be on the safe side. As far as meals go, I will say that you will not be hungry after drinking a protein shake of dolce whey because it gives your body exactly what it needs. You can eat and drink a shake if you want but keep in mind that the more protein that you consume then the longer you may have to wait before consuming more protein. Thanks for visiting the site and I look forward to hearing from you and your results. I’ve heard of Mike Dolce before. Isn’t the the guy who trained Conor Mcgregor or am I lost? Either way the protein looks great. I’ve never heard of silk milk before. Sounds interesting. The most interesting thing about this protein is it’s use of Hemp. Not many proteins do that in an effective way that still provide a good amount of rebuilding whey. 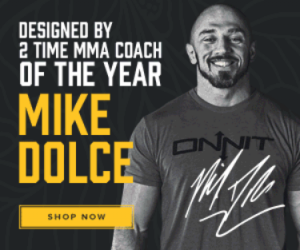 Thanks for stopping by and your interest in Dolce whey, Mike Dolce does do the health and fitness for many of the high level MMA fighters in the UFC and is higher regarded as one of the best. 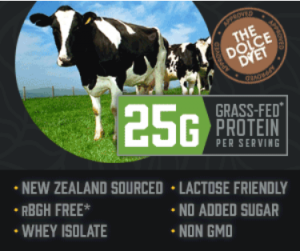 I tried the Dolce Whey from researching not only Mike Dolce but the product that he has made. It is of the highest quality that you can get on the market to this date. 100% pure grass feed whey isolate so it is very easy to digest and great for muscle recovery. I would love to hear your results from trying Dolce Whey and how much you like it, I know I do. The Dolce Whey protein looks great as a way to give your body they way to recover and grow lean muscle building projects. The lactose is a good point because I definitely agree that body builders or moderate fitness builders don’t need milk in their diets. I like your almond milk substitute on your favorite drink. Thank you for reading my article about Dolce Whey, it is the best whey protein isolate that I have ran across to date and I highly recommend trying it. I am sure that you will like it and I look forward to hearing about your results and how much you like Dolce Whey after you give it a shot. I get the bag of Dolce Whey and it last me about a month which isn’t a bad deal at all for the price. Really good articles. In my first sight I can see that you have a high-quality content here and that’s the real purpose of those websites that everyone can create, so keep forward. Really good content, drink a protein supplement is always a dilemma to all of us because we don’t know when and which one to choose. When is a good moment to start taking a protein supplement? Thanks for visiting the site and reading the article about Dolce Whey, I drink a shake in the morning to start my day off with the correct nutrients and to help muscle plus cell recovery. I also have another shake before bed to make sure my body doesn’t starve for nutrients while in a resting period. I have never tried Dolce Whey before so this is great that you made some reviews on it. And these recipes seem easy and fast to make as well. I have a question, are these recipes the same for everyone or I have to adjust depending on how much I weigh? I would like to thank you for visiting my website and your interest in Dolce Whey. As far as the recipes that I have listed, they are perfectly fit for everyone to try the exact mix that I use daily or even some of the other shakes and smoothies on the shakes section on the header of this site. I recommend that you try some of them to see which ones that you like the best and also keep in mind that I will be adding some of my old favorites as well. As far as weight goes, it does really matter what your intake is from one protein shake as long as it is a good quality protein such as Dolce Whey. I say this because Dolce Whey is an isolate so your body is able to digest it the quickest of all the different types of proteins. I hope that you like some of the shakes that I have on the site and remember to let me know what you think. I appreciate the fact that you break down the difference between the types of whey protein to understand why one is better than the other. Most importantly I like the smoothie recipes you put together to do up a blend. A lot of times people will mention different products but not they actually take or prepare them. Your recipe gives me a better idea of prep work on what to expect when trying the product out. I find that it is best to understand what is the best for us at the correct time. Protein being an example, a lot of companies misinform you in their efforts to sell their product which misleads people in believing the wrong information and getting bad result. As far as the recipes for the shakes and smoothies, I have more if you would like. I felt that it would be in the best interest of everyone if I gave a few examples of how I mix my protein to get the best results. Let me know if there is anything thing that I can help out with.